Please register here as space is limited. Have you ever wondered how to intervene if you saw someone being harassed because of their religious identity or for any other reason? Learn how to engage in situations of public harassment and violence without escalating the danger. 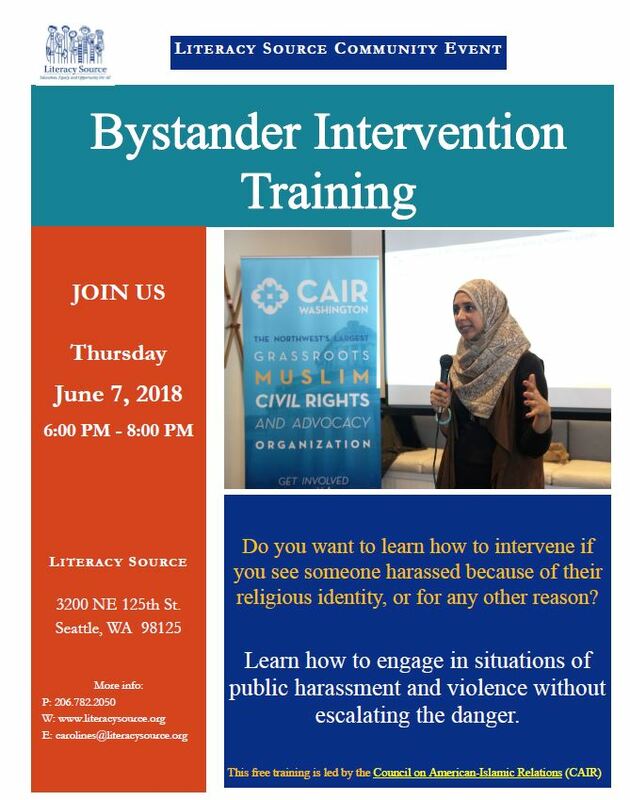 This free training is led by the Council on American-Islamic Relations (CAIR), Washington State.